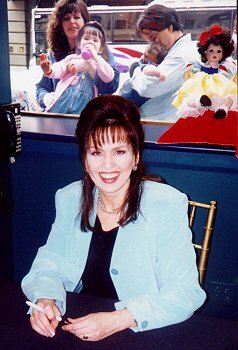 Judy Taylor sent me these photos of Marie from a few different signings. These are the property of Judy and may not be used on other web sites without permission. The first set here are from September 1997 in Provo, Utah. In the first photo Marie is signing Dawn. The next photos show Marie sitting on a table top and chatting. The other doll Marie is signing in this set of photos is Baby Marie's First Birthday. 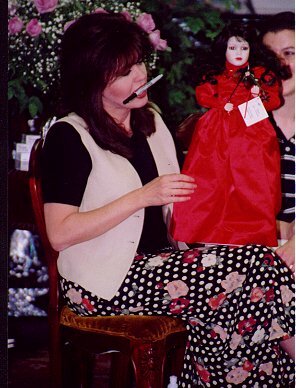 Marie is showing the Stephen toddler doll to her friend, Patty. 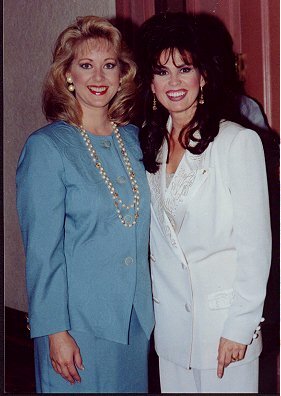 These photos are from December 1995 at the Tropicana in Las Vegas. 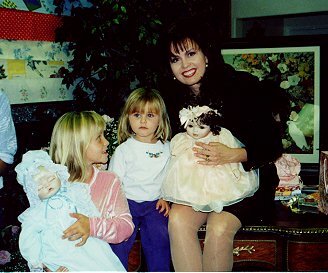 The doll in the photo to the right is Georgette which was sculpted by Marie's dad. 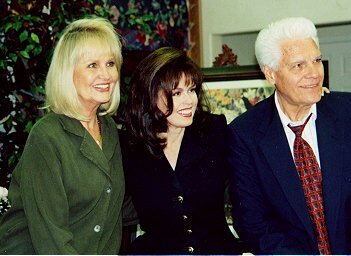 July 1998 in Provo, Utah. White in the upper right hand corner. 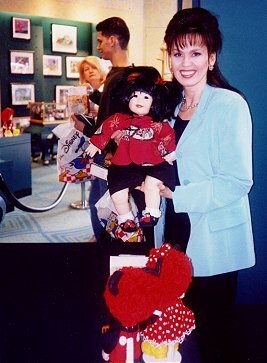 first Marie doll from these shows, Traci.